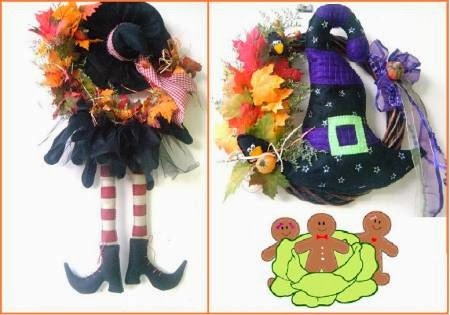 A cute and original way to welcome your friends, family or special people to your home, office, meeting or party organized for yourself, it is a Halloween wreath. 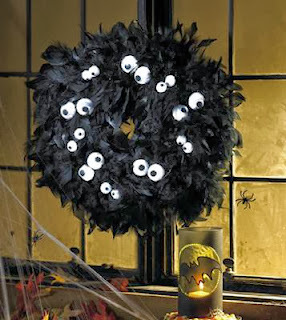 Here there are some ideas and models of wreaths for this celebration that you can use to surprise everybody. 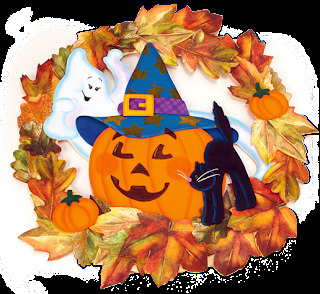 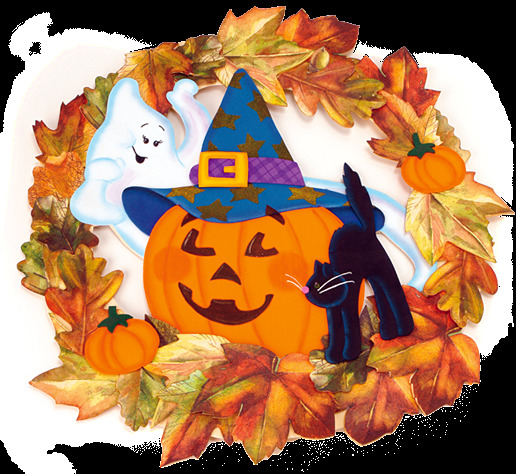 A Halloween wreath with leaves and pumpkins, in the middle there are a ghost, a pumpkin and a black cat. 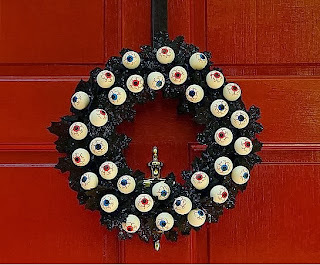 A black Halloween wreath with red and blue eyes. A black Halloween wreath with white eyes. 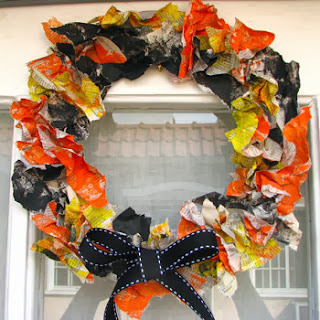 A Halloween wreath with yellow, black and orange papers. 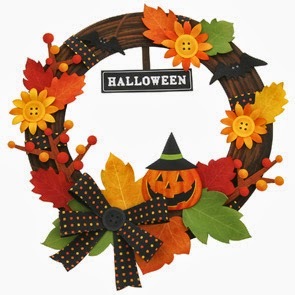 A colorful Halloween wreath with wood, leaves, flowers and pumpkins. 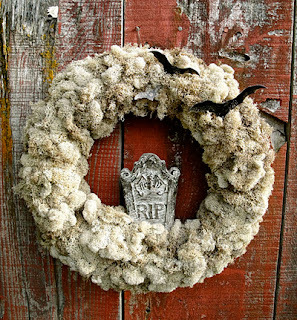 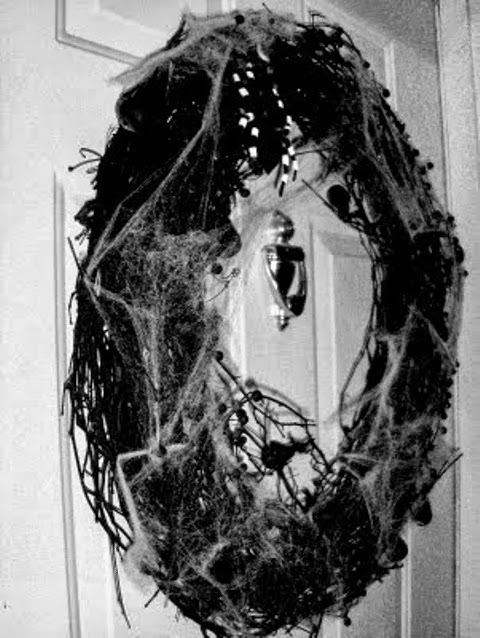 A Halloween wreath with webs. 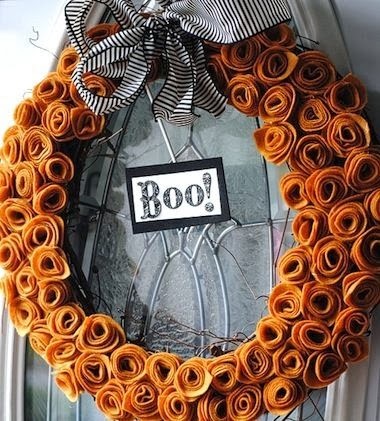 A beige Halloween wreath and a tombstone in the middle. 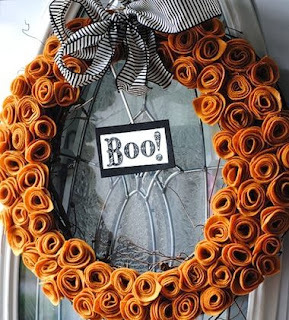 A Halloween wreath with orange roses and the word Boo! in the middle. 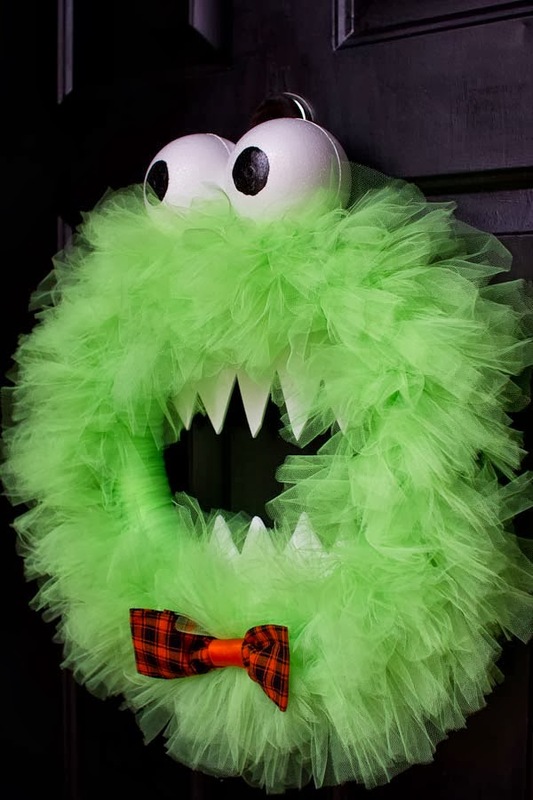 A Halloween wreath with a green monster's face. A Halloween wreath with witches, on the right there is a wreath with legs and boots, while on the left a wreath with a witch's hat.